I was always fine with Morrowind's vanilla loading screens. The only real problem was a lack of variety. 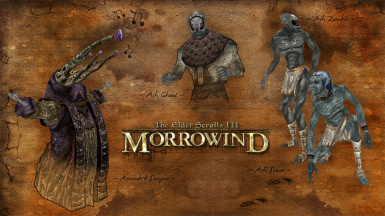 That's all this mod does, add new loading screens to Morrowind's collection. There's no need to credit me, but if you do decide to modify these loading screens, please give credit to Nzdawghaus for his amazing Splash Resource Pack ( tesalliance.org/forums/index.php?/files/file/1189-splash-resource-pack/ ), which I used to create this mod. 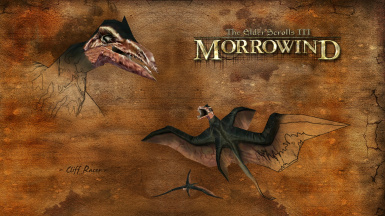 Thanks to Bethesda Softworks for developing Morrowind and the Construction Set. Thanks to Brucoms for developing the TES3 Readme Generator this readme was made from. Thanks to Nzdawghaus for his amazing Splash Resource Pack, which was used to create this mod. While not necessary for the mod to function, the splash screens have been made to fit with Nzdawghaus's Widescreen Splash Replacer ( http://tesalliance.org/forums/index.php?/files/file/1188-widescreen-splash-replacer/ ). I was always fine with Morrowind's vanilla loading screens. In fact, I liked them! They were interesting enough to look at, but simple enough that they weren't distracting or annoying. 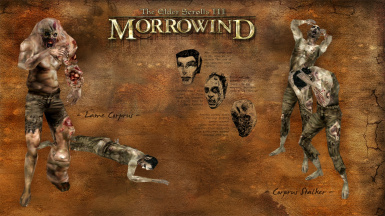 The only real problem was a lack of variety: by default, Morrowind has a mere 11 different loading screens! By comparison, Oblivion has 45, not counting the ones added by its expansion pack. 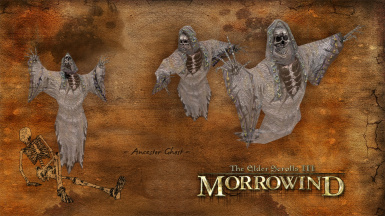 A few people have previously tried to remedy this problem with varying degrees of success - most successfully Alaisiagae ( http://www.nexusmods.com/morrowind/mods/43021/ ) - but the more, the merrier, I thought, and it was an opportunity to hone my Photoshop skills a bit. 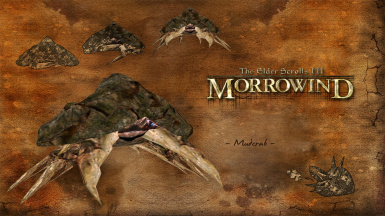 That's all this mod does or will do, add new loading screens to Morrowind's collection. More may be coming at some point, but they'll just be pumped out when I feel like it, so don't hold your breath. That's all! To install, simply place the included files inside the Splash folder in your Data Files. Unless someone decides to make splash screens with the same filenames, none! - Adjusted contrast on splash_cliffracer.tga for better consistency. - Added four new loading screens. You can contact me on the Nexus Forums or the Bethesda Forums, or anywhere else I have an account, really. My username's always Gilboron anyway. Thanks to Brucoms for developing the TES3 Readme Generator this description was made from.